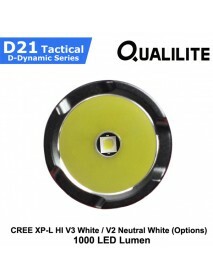 Qualilite D21 CREE XP-L HI V3 White 6500K / V2 Neu.. 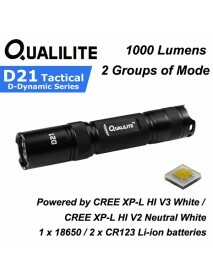 The D21 of the QUALILITE D-Series (Dynamic) is the tactical flashlight with powerful output. 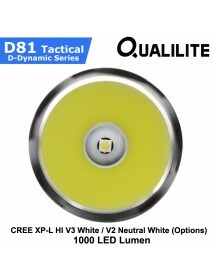 Flexibl..
Qualilite D81 CREE XP-L HI V3 White 6500K / V2 Neu.. 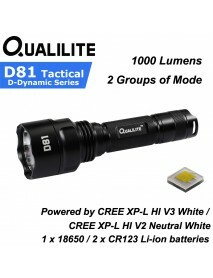 The D81 of the QUALILITE D-Series (Dynamic) is the tactical flashlight with powerful output. Flexibl..